Sport-locker.net are delighted to show off the ACE15 Zones Pro Goalkeeper Glove – the perfect product to enable goalkeepers to Be The Difference! The adidas football revolution doesn’t only apply to the new X15 and ACE15 boots, adidas goalkeeper gloves have also received a complete makeover. The ACE15 Zones Pro Goalkeeper Glove is due to be unleashed on pitch for the first time by Marc-André ter Stegen this weekend during the UEFA Champions League Final in Berlin on Saturday 6th June. The newly developed foam components covering the area between the fingers and the palm of the hand deliver a much firmer feel and grip of the ball in all conditions, coupled with the shock absorption required to save the most powerful of shots. On the back side of the hand, a punching zone has been developed with a similar look and feel to the CTRL/WEB section of the new adidas ACE15 boots. The spread out construction of the punching zones also provides enhanced flexibility, encouraging all of the natural movements of the hand. 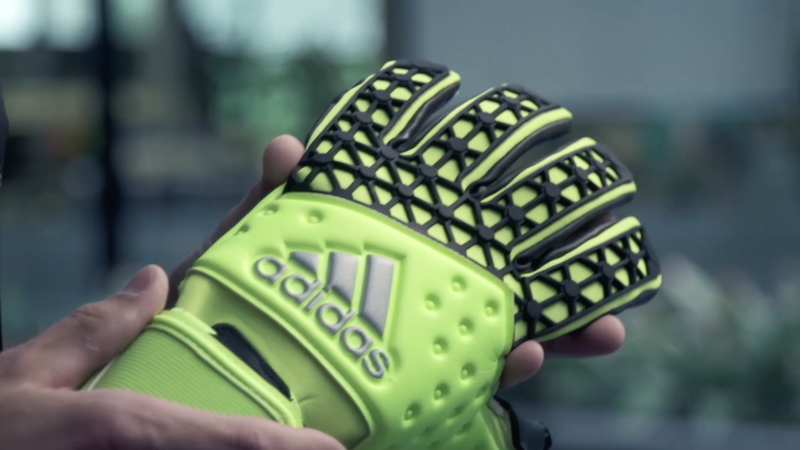 What do you think of the ACE15 Zones Pro Goalkeeper Glove? Let us know in the comments section below or on our Twitter and Facebook pages. Want to go full on BMO in the gym? Then Sport-locker.net recommends ON Gold Standard Pre-Workout!